In many ways preparation is key to success. Look at any sporting event and the team who usually comes out on top are the ones who are better prepared. I'm not just referring to game day; I'm also talking about the coaching schemes and building a roster. Preparation is a significant factor to one's success in the Digital Forensic and Incident Response field. This applies to the entire field and not just malware forensics, which is the focus of this post. When you are confronted with a system potentially impacted with malware your ability to investigate the system successfully depends on your knowledge, experience, and toolset. This is where there is a conundrum. There is a tendency for people not to do malware cases (either through being hired or within an organization) due to a lack of knowledge and experience but people are unable to gain knowledge and experience without working malware cases. The solution is through careful preparation one can acquire knowledge, experience, and toolset that can eventual lead to working malware cases. This post outlines the process I used and currently use to improve my malware forensics skills. The process described in this post helped me to develop the skills I have today. I even use a similar process to create test systems to help develop malware forensic skills in others (if you read this blog then you have already seen the benefits of doing this). With that said, what I am describing is a very time consuming process. However, if you decide to replicate the path I took it will be worth it and along the way you'll improve your malware forensic skills. This post is specifically directed at those wanting to take this step using their own resources and time. Those wanting to lose themselves in the DFIR music. Malware forensics is the process of examining a system to: find malicious code, determine how it got there, and what changes it caused on system. The first place to start for improving one's skills is by exploring the process one should use. The purpose of starting with the process is twofold. First and foremost it is to understand the techniques, examination steps, and knowing what to look for. The second reason is to explore the various tools to use to carry out the process. There are only a few resources available specific to this craft such as: Malware Forensics Field Guide for Windows Systems and Windows Forensic Analysis Toolkit, Fourth Edition. 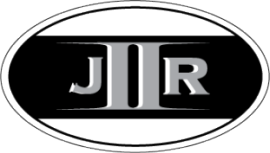 In addition, this has been an area on my radar to add one more book to the discussion but in the meantime my jIIr methodology page outlines my process and links to various posts. My suggestion is to first review the methodology I put together which is further explained in the posts: Overall DF Investigation Process and End to End Digital Investigation. Afterwards, review one or two of the books I mentioned. As you work your way through this material pay attention to the malware forensic process the author uses or references. After the process you want to use is documented then the next step is to identify the tools you will use in each examination step. There are numerous tools you can use; the tools mentioned by the authors in the reference material, tools talked about the bloggers in my blog roll, or tools you already have experience with. To be honest, what tools someone should use depends. It really depends on what you prefer and are comfortable with. The tools I started out with are not the same ones I use today; the important thing is each tool helped me learn and grow. Pick any tools you want as a starting point and over time you will start to see the pros and cons of various tools. With your process and tools selected, now it is finally time to stop the researching/documenting and to actually use the process you documented and tools you selected. To do this you first have to set up a testing environment. There is an inherit risk to using virtualization for the testing environment; the malware may be virtualization aware and behave differently than on real computer. However, despite this risk I highly recommend to use virtualization as your testing environment. It's a lot faster to create multiple test systems (by copying virtual machines) and the snapshot feature makes it easier to revert mistakes. There are various virtualization options available with great documentation such as VirtualBox and VMware. Pick a virtualization platform and install it using the provided instructions. Another decision you'll need to make is what operating systems to perform your testing on. This not only includes the operating system versions (i.e. Windows 7 vs Windows 8) but what processor to use as well (32 bit vs 64 bit). I ended up selecting VMware for the virtualization software and Windows 7 32 bit as the testing platform. You will need to create your first VM by installing the operating system of your choice. After the installation try to make things easier for the system to be compromised. First disabled security features. This includes the built-in firewall and the user account control. Next make sure the account you are using has administrative privileges. Next you will want to make your test system a very juicy target. To do this you'll need to install vulnerable client-side applications including: Adobe flash, Adobe Reader, Java, Silverlight, Microsoft Office, Internet Explorer, and a non-patched operating system. One place to grab these applications is Old Apps and to determine what versions to install pick the ones targeted by exploit kits. At a minimum, make sure you don't patch the OS and install Java, Silverlight, Adobe reader, and Adobe flash. This will make your VM a very juicy target. After the VM is created and configured then you'll want to make multiple copies of it. Using copies makes things easier during analysis without having to deal with snapshots. The first approach to improving your skills is a manual method to help show the basics. The purpose is to familiarize yourself with the artifacts associated with malware executing in the operating system you picked. These artifacts are key to be successful in performing malware forensics on a compromise system. The manual method involves you infecting your test VM and then analyzing it to identify the artifacts. The manual method consists of two parts: using known and unknown samples. However, before proceeding there is very important configuration change. The virtual machine's network configuration needs to be isolated to prevent the malware from calling home or attacking other systems. Starting out it is better to practice with a sample that is known. By known I mean documented so that you can reference the documentation in order to help determine what the malware did. Again, we are trying to improve our ability to investigate a system potentially impacted with malware and not trying to reverse the malware. The documentation is just to help you account for what the malware did to make it easier to spot the other artifacts associated with the malware running in the operating system. The way to find known samples really depends. You could find them using information on antivirus websites since they list reports using their malware naming convention. For example, Symantec's Threat Listing, Symantec's Response blog, Microsoft's Threat Reports, or Microsoft's Malware Encyclopedia to name a few. These are only a few but there are a lot more out there; just look at antivirus websites. The key is to find malware with a specific name that you can search on such as Microsoft's Backdoor:Win32/Bergat.B. Once you find one you like then review the technical information to see the changes the malware makes. I suggested finding known malware by names first because there are more options to do this. A better route if you can find it is to use a hash of a known malware sample. Some websites share the hash of the sample they are discussing but this doesn't occur frequently. A few examples are: Contagio Malware Dump, KernelMode.info, or MxLab blog. Another option is to look at the public sandboxes for samples that people submitted such as Joe Sandbox or one listed on Lenny Zelster's automated malware analysis services list. After you pick a malware name or hash to use then the next step is to actually find the malware. Lenny Zelster has another great list outlining different malware sample sources for researchers. Anyone one of these could be used; it just needs the ability to search by detection name or hash. I had great success using: VirusShare, Open Malware, Contagio Malware Dump, and KernelMode.info. Remember the purpose of going through all of this is to improve your malware forensic skills and not your malware analysis skills. We are trying to find malware and determine how the infection happened; not reversing malware to determine its functionality. Now that you have your sample just infect your virtual machine (VM) with it and then power it down. If the VM has any snapshots then delete them to make it easier. Now that you have an infected image (i.e. the vmdk file) you can analyze it using the process you outlined and the tools you selected. At this point you are making sure the process and tools work for you. You are also looking to explore the artifacts created during the infection. You know the behavior of the known malware so don't focus on this. Malware is different and so will be their artifacts. Focus on the artifacts created by a program executing in the operating system you selected. Artifacts such as program execution, logs, and file system. Using a known sample is helpful to get your feet wet but it gets old pretty quick. After you used a few different known samples it is not as challenging to find the artifacts. This is where you take the next step by using an unknown (to you) sample. Just download a random sample from one of the sources listed at malware sample sources for researchers. Infect your virtual machine (VM) with it and then power it down. If the VM has any snapshots then delete them to make it easier. Now you can start your examination using the same process and tools you used with a known malware sample. This method makes it a little more challenging because you don't know what the malware did to the operating system. The manual method is an excellent way to explore the malware forensic process. It allows you to get familiar with an examination process, tools, and artifacts associated with an infection. One important aspect about performing malware forensics is to identify the initial infection vector which was used to compromise the system in the first place. The manual method infections always trace back to you executing malware samples so you need to use a different method. This method is automatically infecting systems to simulate how real infections appear. Before proceeding there is a very important configuration change. The virtual machine's network configuration needs to be connected to the Internet. This can be done through the NAT or bridged configuration but you will want to be in a controlled environment (aka not your company's production network). There are some risks with doing this so you will need to take that into consideration. Personally, I accept this risk since improving my skills to help protect organizations is worth the trade off. In the automatically infecting systems approach the first method is to use a known website serving malware. There are different ways to identify these websites. I typically start by referring to Scumware.org (FYI, site hates Internet Explorer), Malc0de database, and the Malware Domain List. In both instances I look for URLs that point to a malicious binary. Other sources you can use are the ones listed by Lenny Zelster on his Blocklists of Suspected Malicious IPs and URLs page. Again, you are trying to find a URL to a site hosting a malicious binary. Another, source you shouldn't overlook is your email SPAM/Junk folder. I have found some nice emails with either malicious attachments or malicious links. Lastly, if you pay attention to the current trends being used to spread malware then you can found malicious sites leveraging what you read and Google. This is a bit harder to pull off but it's worth it since you see a technique currently being used in attacks. Inside your VM open a web browser, enter in the URL you identified, and if necessary click any required buttons to execute the binary. Wait a minute or two for the malware to run and then power it down. If the VM has any snapshots then delete them to make it easier. Now you can start your examination using the same process and tools you used with the manual approach. The purpose is to find the malware, artifacts associated with the infection, and the initial infection vector. Infecting a VM in this manner simulates a social engineering attack where a user is tricked into infecting themselves. If a SPAM email was used then it simulates a email based attack. To see how beneficial this method is for creating test images to analyze you can check out my posts Examining IRS Notification Letter SPAM and Coming To A System Near You. The first post simulates a phishing email while the later simulates social engineering through Google image search. The second method in the automatically infecting systems approach is to use potentially malicious websites. This method tries to infect the VM through software vulnerabilities present in either the operating system or installed client-side applications. This is the most time consuming out of all of the methods I described in this post. It's pretty hard to infect a VM on purpose so you will end up going through numerous URLs before hitting one that works. This is where you may need to use the VM snapshot feature. To find potentially malicious URLs you can look at the Malware Domain List. Look for any URLs from the current or previous day that are described as exploit or exploit kit as shown below. You can ignore the older URLs since they are most likely no longer active. After you see a URL with detections then you'll need to examine it closer by reviewing the URLQuery report. To save yourself time, focus on any URLs whose reports mention: malicious iframes, exploits, exploit kits, or names of exploit kits. These are the better candidates to infect your VM. The pictures below show what I am referring to. Before proceeding make sure your VM is powered on and you created a snapshot. The snapshot comes in handy when you want to start with a clean slate after visiting numerous URLs with no infection. An easy way to determine if an infection occurred is to monitor the program execution artifacts. One way I do this is by opening the C:\Windows\Prefetch folder with the items sorted by last modification time. If an infection occurs then prefetch files are modified which lets me know. Now you can open a web browser inside your VM, enter in the URL you identified, and monitor the program execution artifacts (i.e. prefetch files). If nothing happens then move on to the next URL. Continue going through URLs until one successfully exploits your VM. Upon infection wait a minute or two for the malware to run and then power it down. Make sure you delete any snapshots to make it easier. Now you can start your examination using the same process and tools you have been using. The purpose is to find the malware, artifacts associated with the infection, and the initial infection vector. The initial infection vector will be a bit of a challenge since your VM has various vulnerable programs. Infecting a VM in this manner simulates a drive-by which is a common attack vector used to load malware onto a system. To see how beneficial this method is for creating test images you can check out my post Mr Silverlight Drive-by Meet Volatility Timelines (FYI, I suspended the VM to capture the vmem file in addition instead to powering it down to get the disk image). Benjamin Franklin said "by failing to prepare, you are preparing to fail." To be successful when confronted with a system potentially impacted with malware we should be preparing for this moment now. Taking the time to improve our malware forensic skills including our process, tools, and knowledge of artifacts. Making the right preparations so when game day approaches we will come out on top. The process I use to improve my malware forensic skills and the one I described in this post is not for everyone. It takes time and a lot of work; I've spent countless days working through it. However, working your way through this process you will attain something that can't be bought with money. There is no book, training, college course, or workshop that can replicate or replace the skills, knowledge, and experience you gain through careful preparation by training yourself. About a month ago I finished reading Windows Forensic Analysis 4th Edition by Harlan Carvey. Due to personal obligations I was unable to post my WFA 4/e review until now. All in all the 4th edition is good update to the Windows Forensic Analysis series. I think it is necessary to first address the expectations for WFA 4/e. In my Review of Windows Forensic Analysis 3rd Edition I mentioned " at first I was worried about reading the same information I read in Windows Forensic Analysis 2nd Edition or Windows Registry Forensics but my worries were unfounded. The author has said numerous times WFA 3/e is not a rewrite to his other books and is a companion book." In the WFA series, Syngress has kept the same title and just increased the edition number. In a way, this can have an impact on people's expectations. WFA third edition was a complete rewrite of the second edition. This meant the books were complimentary and the third edition didn't contain any of the previous material from the second. I can see how this can create an expectation that with each new edition it will follow the same path. However, this is not how newer editions are typically done since they usually contain updated material and are not complete rewrites. With WFA 4/e the book is not a complete rewrite but it does contain some great updated content. This review is focused on the updated content since I already discussed some of the material in my WFA 3/e review. There are very few DFIR authors who not only produce content outlining processes and artifacts but also create and release the necessary tools to carry out the process they described. Most of the DFIR authors I've read (including training content authors) usually point people to tools created by others. They don't provide tools of their own or source code to help you better understand how artifacts are parsed. When reviewing a DFIR book it's necessary to take into consideration the book as a whole including the materials provided with it. This is one area where I think Harlan excels and it's something I always liked about his work. The material for his books contain a wealth of resources from cheat sheets to open source tools to explanations about how to do something. Along with WFA 4/e Harlan provided new and updated material to accompany the book. One of the more notable mentions are the new plug-ins for RegRipper (link to most recent version at time of this post). Seriously, there are so many updates that you'll really need to read the updates.txt file he provides. Some plug-ins were updated to support Wow6432Node, others had alerts added, and there are a bunch of new plug-ins. Besides RegRipper there are tools (and source code) to parse the RecentFileCache.bcf, index.dat, and $UsnJrnl to name a few. It's not always about the tools either. In the Chapter 5 folder there is a file called usbdev.pdf. This document outlines the Windows 7 USB device analysis including what RegRipper plug-ins pull what, how various registry values tie together, and other information to perform this analysis. The Chapter 9 folder contains even more documents related to report writing. Hands down, the material provided with the book is outstanding. One of the updates to this edition are two new chapters that tie things together. First is Chapter 8 Correlating Artifacts while the second is Chapter 9 Reporting. To be successful in DFIR one needs to be able to tie information together from different sources to answer the questions presented to them. This is why I really like these updated chapters. Throughout the book Harlan discusses the significance of various Windows artifacts and clearly explains how those artifacts can help a case. However, the artifacts are discussed individually to make it easier to understand. The Correlating Artifacts chapter is where things are tied together. Various artifacts are brought together to illustrate how the information they contain can help address certain questions. The sample questions addressed are ones commonly encountered on various types of cases such as: correlating Windows shortcuts to USB devices, detecting system time changes, and determining data exfiltration. Again, the ability to take the information contained from different artifacts to make sense of it is really what we do in DFIR. The information was laid out in a clear manner and followed up with how to communicate your findings in reporting. As I said before, all in all the 4th edition is good update to the Windows Forensic Analysis series. There are updates throughout the book including some Windows 8 artifacts and on the back end it's completely new content. The book materials are loaded with new goodies. Personally, I tend to shy away from purchasing updated editions that contain the same material as the previous edition with updates. However, I took a chance with WFA 4/e (based on who the author is) and I wasn't disappointed with my purchase. Today I gave a presentation titled Malware Root Cause Analysis Don't Be a Bone Head at the New York State Cyber Security Conference. This presentation was a follow-up to the presentation I gave last year titled Finding Malware Like Iron Man. Last year I laid out a triage process to find malware and this year I went into more depth discussing how the malware got there in the first place. This post contains the following for my talk: CFP, slide deck, and video I showed. Computer users are confronted with a reoccurring issue every day. This happens regardless if the user is an employee doing work for their company or a person doing online shopping trying to catch the summer sales. The user is using their computer and the next thing you know it is infected with malware. Even Hollywood is not immune to this issue as illustrated in the TV show Bones. The most common action to address a malware infection is to reimage, rebuild, and redeploy the system back into production. 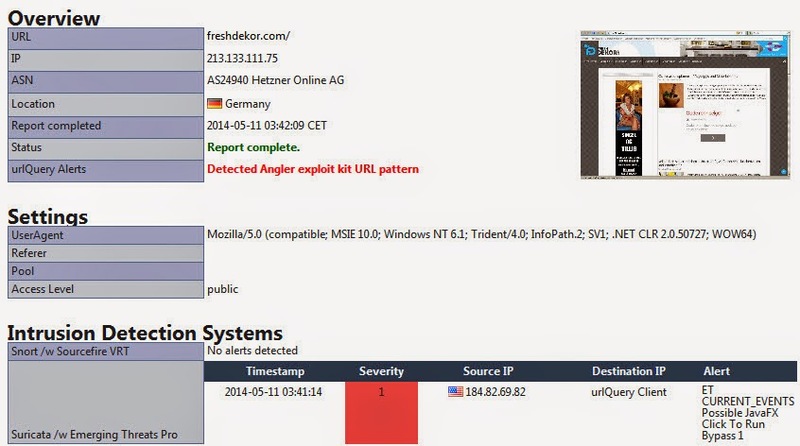 Analysis of the system to understand where the malware came from is not a priority or goal. Root case analysis needs to be performed on systems impacted by malware to improve decision making. The most crucial question to answer is how did this happen since it will determine if we were targeted and more importantly what can be done to mitigate this from re-occurring. Last year, in my presentation Finding Malware Like Iron Man I explored the first step in root cause analysis, which is locating the malware. The next step in root cause analysis is to identify the malware's source. In this technical presentation Corey will discuss the root cause analysis process to determine how malware infected a computer running the Windows operating system. The topics will include: why perform root cause analysis, how not to perform root cause analysis, compromise root cause analysis model, attack vector artifacts, and scenarios. I chopped up the Bones TV episode The Crack in the Code (Season 7 episode 6) I purchased through iTunes. However, others have posted the segment I used in my presentation. For your viewing pleasure here is "Malware on Bone".